The Uncertainty Principle consists of a video and an interactive application about information and uncertainty in the domain of image analysis. 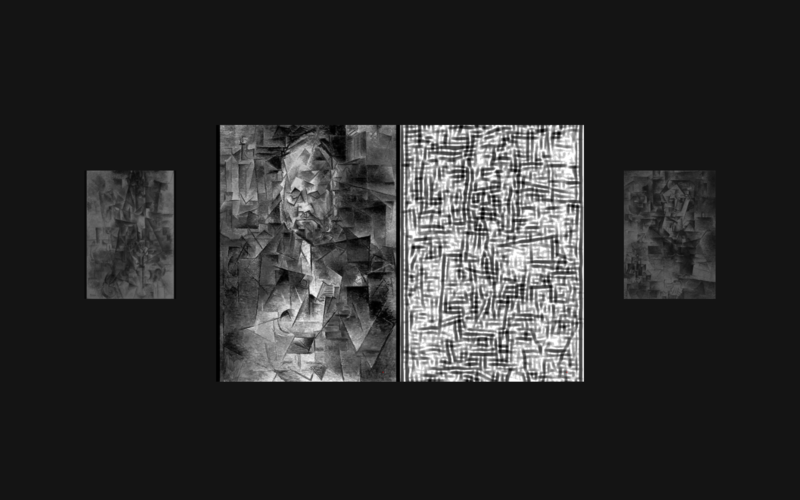 The various elements of the work are produced by applying certain filters, known as 2D Gabor filters, to images. Gabor filters identify various kinds of edges -- horizontal, vertical, and diagonal – by responding to specific visual frequencies in an image. More information in the project website.